Bowling is one of the most beloved games among individuals, and ten-pin, a particular kind of bowling, is the most played version; it is basically a game in which you need to knock off 10 pins that are kept at the opposite side of a lane, and you’re provided 2 to 3 bowling balls each game to do this. Ten-pin is one of the most popular target sports among young and old people in many countries.What’s better is if you can play this skillful game in your own house, with your own family members, on your own weekend free time. You can install a home bowling alley and use it to play with your family in your leisure time. But you need to keep a few things inmind before setting up the wholebowling alley. The whole setup for this game requires a large space. You need to plan for everything wisely: from the alleys to the minimum space required for the players to stand and throw the balls. You will also need a space to keep the balls and the pins organized. If you want to keep a space for drinking, like a bar or anything, you have to plan everythingbeforehand. Adding some buffer space in the room might be a good option, as bowling creates loud noises which might inconvenienceother family members and also the neighbors. You have to wisely choose what you want to place in the room. The bowling alley should be done with perfect measurement and it should be large enough to do the right legwork. Because the space inside a house is always limited to set up a bowling alley, you have to plan everythingbeforehand, that way you avoid any chaos while installing the alleys and other pieces of equipment. It is smart to make all the measurements before buying the set, then you can buy all the equipment according to the measurements. According to the space in your house, you can decide whether you want one alley or a multi-lane alley. Remember to designate a space for where other pieces of equipment will be kept. There are many types of equipment used forbowling games. Different types of equipment have different compositions and materials. The ball used for bowling is made up of a combination of rubber, plastic, reactive resin, and urethane. There are threeholes on the ball for the players to get a grip. The bowling alley is a long, smooth surface that’s approximately 75 feet long and 3.5 feet in width. These alleys are madeof long wooden boards that are polished. 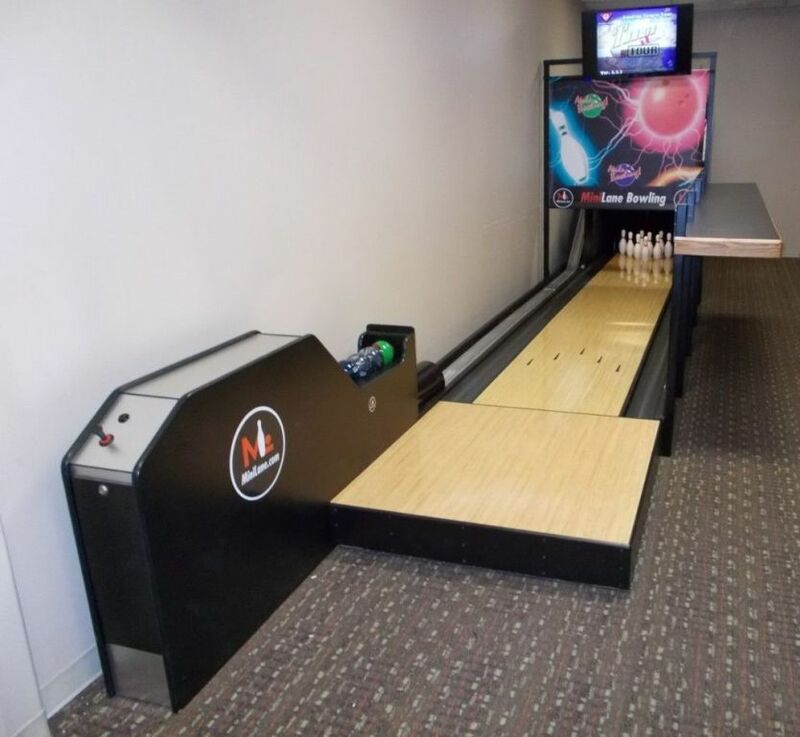 Installing a bowling alley in a house is a high-budget project, and all the pieces of equipment are costly and need to be perfect for a smooth game to take place. Overall, bowling is a fun game to play with family members.Butthe pieces of equipment and alleys used for bowling need high maintenance. The wooden surface of the alley must be kept clean and polished always for a smooth game. If proper care is taken, this setup might last for more than 30 years.